ALHOSN University, a leading Abu Dhabi-based university dedicated to high-quality, value-based education, constantly emphasizes the importance of world-class education in ensuring fruitful careers amidst today’s highly competitive job markets. The university encourages students to make sure that the educational institutions they join are fully accredited at the Ministerial level and offer programs that complement current market needs. ALHOSN’s own curricula are based on North American higher education models, with all academic programs accredited by the UAE Ministry of Higher Education and Scientific Research. Five programs recently received full accreditation: Business Administration, Accounting, Management Information Systems, and Urban Planning in addition to the Master in Business Administration (MBA) program. These form part of a wide range of ALHOSN programs in Business, Engineering, and Education that are drawing strong interest from prospective students and their parents who are also attracted to ALHOSN’s promise of ‘global knowledge with local vision’ and holistic approach to education. “An education is not enough to secure a good career given today’s evolving business environments. Graduates from universities with solid, fully accredited and market-specific programs have the best chance to prosper professionally. Moreover, employers look for extra traits such as community awareness and patriotism from candidates. At ALHOSN we make sure that our wards receive world-class education and are sensitive to the conditions and needs of their respective communities. We believe that personal and professional development go hand-in-hand in molding a successful citizen,” said Prof. Abdul Rahim Sabouni, Vice Chancellor and CEO, ALHOSN University. 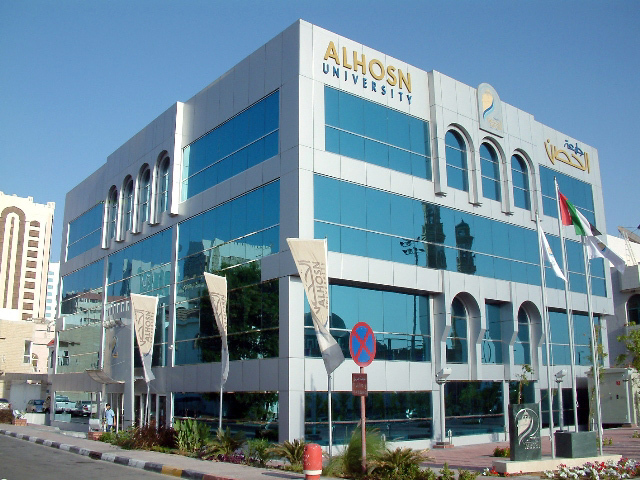 Named after Abu Dhabi’s historic ALHOSN Palace, ALHOSN University was founded in 2005 by the Abu Dhabi Holding Company in response to growing local demand for high-quality, value-based educational institutions. It currently offers 12 undergraduate and 7 graduate programs under the Faculties of Engineering and Applied Sciences, Business, and Arts and Social Sciences. ALHOSN accepts students of all nationalities and also accommodates youths with special needs.